HELP! 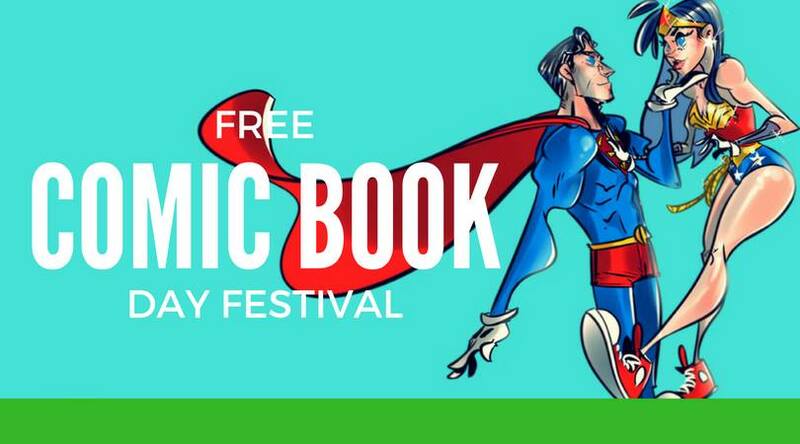 Empire’s Comics Vault is giving away 20,000 FREE COMIC BOOKS on Saturday, May 4th at the Free Comic Book Day Festival 2019! As before, it’s a huge local Sacramento event that will feature live wrestling, roller derby athletes, League for Hope cosplayers, stormtroopers, food trucks, and more! Justin Greenwood – artist of The Last Siege (Image), Stumptown (Oni Press), The Fuse (Image), Stringers (Oni Press), and––most recently––Alexander Hamilton: The Graphic History of an American Founding Father (Ten Speed Press). Nick Dragotta – artist for East of West (Image). Melissa Pagluica – creator of Above the Clouds webcomic. Kyrun Silva – CEO of Taurus Comics, artist/writer of Shaman’s Destiny, writer of Xob the Lightning Wielder. Kristine Balog – writer, artist, Caravaggio scholar. Long John returns to this spectacular event with new prints, the three books, and eager conversation for one of his most favorite events of the year.